Getting here Click here for help planning your journey to St Mary's Cathedral. Parking There is very limited street parking available. 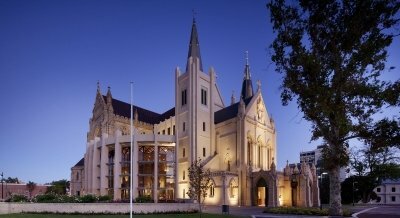 There is limited, free parking available on the actual Cathedral site. Public transport There is a Red CAT bus which stops directly in front of the Cathedral. Access There are four accessible parking bays located close to and at the same level at the entrance to the Cathedral. Toilets The accessible toilet is located at the base of the ramp outside outside the front of the Cathedral. Lost Property Call 08 9223 1350.